For Angel's birthday this year, we decided to do away with the usual round birthday cake and use cupcakes for the cake cutting ceremony instead. Naturally, it didn't make sense to just arrange the cupcakes randomly on the table so a week before the party, I knew I had to get something done. 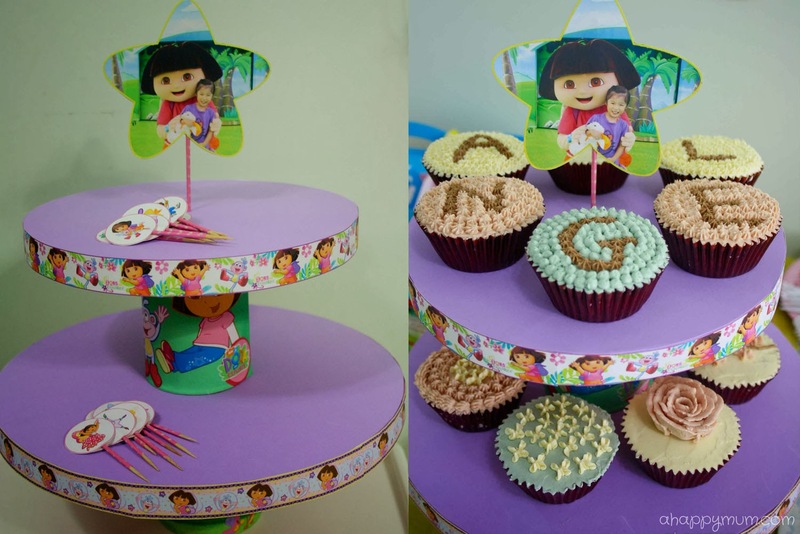 In line with the theme of our celebration, well, of course we did a DIY Dora cupcake stand. My girl totally adores this Latina little explorer and if it makes her happy, I guess I can survive seeing hundreds of Dora pictures in my house. Just for this month. Firstly, trace and cut out two circles, one bigger than the other, on the corrugated board and foam sheet. You don't need a compass to do this, just look for round objects in your house to help in tracing. I used a pot cover for the small circle and a steamboat glass lid for the big one. Once the circles are done, apply super glue near the circumference and stick the small foam circle on top of the same sized corrugated board. Repeat for the big circle. Next, cut out the Dora pictures and use double sided tape to wrap them around the aluminium cans. I had measured the dimensions of the cans previously and resized the pictures accordingly before printing them out. Although I used empty cans for mine, on hindsight, it is advised that you use unopened cans. This will give the stand more stability and reduce the risk of cupcakes toppling over. Just make sure you use canned fruit instead of canned abalone, yeah? Since I don't have a Dora ribbon at home, I had to create my own using these printed strips. Simply cut them out, overlap them neatly and secure with sticky tape at the back to make your own ribbon. Once that is done, using a thin strip of double sided tape at the top of the ribbon, wrap it around and stick neatly around the circle. To make sure it is secure, you can turn over the circle and use some sticky tape on the inside of the ribbon. The use of this ribbon is to give the circle an illusion of depth and make it more attractive. Repeat for the other circle. I used a different ribbon design just to have more variation. Finally, use a generous amount of super glue to stick the can in the middle of the circle. Use a larger can for the base and a smaller can for the middle. Apply pressure and ensure it stays put. You can stack as many layers as you wish! You can also choose if you wish to glue the layers to each other or let them remain separate so that you can use them as cake stands in future. For the centrepiece, simply stick a picture onto a satay stick (I pasted two pictures with wrong sides facing so that it becomes double sided) and poke it into the middle of the top circle. This is optional but you can also make some cute little cupcake toppers to add to the theme! I printed out pairs of Dora and friends pictures as shown. Putting them into a round border makes it much easier to cut out. Next, I wrapped washi tape around toothpicks and using double sided tape, I stuck the toothpicks in the middle of every picture pair with the wrong sides facing. Here is how the toppers looked in the end, same from front and back. TA-DAH! We are done! My girl was so delighted when she first saw it and that smile, that big, gleeful smile of hers, was a hint that she was going to have a blast at her party. 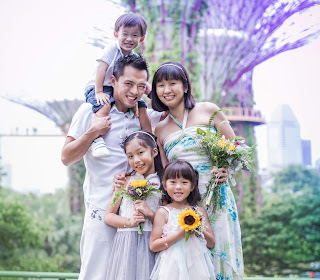 Dearest Angel, today, 21st November 2013, is the day you turn four, my darling. Mummy has so much to tell you and I guess I will just say them to you in person and let it be our little secret. I am so glad you had fun at the birthday party and couldn't stop talking about it. Let's keep these awesome memories in our hearts forever and be thankful that we have friends and family who care for us. Please know that I love you so very, very much. For those who are waiting, I promise to write that Dora birthday post real soon, please stay tuned! The cupcake stand looks so awesome!!! Happy Birthday to dear Angel! 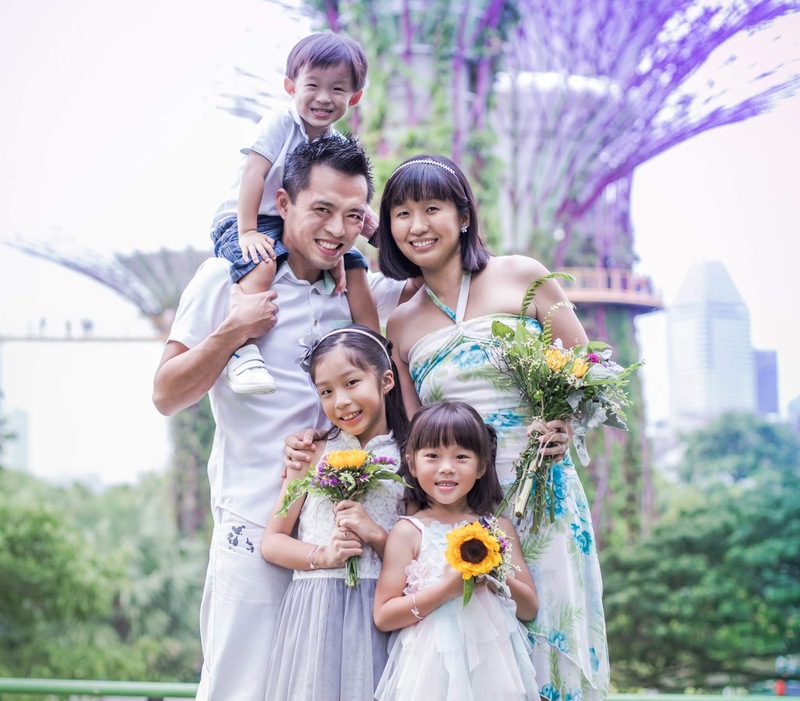 Jade jie jie wishes her good health, keep smiling always and grow up to a fine pretty lady! Thanks gal, appreciate the sweet and kind wishes from Jade jiejie! We will see you soon on your BIG day, pretty bride-to-be!